calendars in use in the world today - many are tied to religions like Judaism and Islam. Each calendar uses either solar, lunar or a combination of the two to measure time. 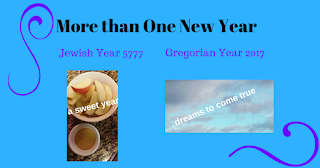 Before the Hanukkah and Christmas holidays I was talking about the fact that while 2016 had been pretty hard and awful, not really sad about seeing it go, 5777, the current year in the Jewish calendar, on a personal level was going much better. The past years of 2015 and 2016 have been very challenging for me and my family. In 2015 I lost my Dad, I did not have full time employment, we lacked medical care for about half the year, we moved, and overall the year was just filled with challenge, heart break, anxiety and frustration. My Facebook post from Dec. 31, 2015 "Spending New Year's Eve in our traditional way, watching New Year's Rockin Eve, hanging out at home, just being a family. I am so very ready to say goodbye to 2015. It was a very long and very difficult year. I am holding onto to a tentative hope that 2016 will be better. After all I have hoped for financial stability, a full time job and the ability to provide for my family for the last 3 years and each year in many ways has been worse than the last - so 2016 please break the trend and help my family and I find the stability we need to thrive. Here is hoping that 2016 brings abundance, love and blessing to all of us!" I would love to say that 2016 manifested a full time job and financial security but alas it did not. 5777 began on a much better note. By Rosh Hashanah, I had two new part-time jobs, that I love, as an Adjunct Instructor at Bryant & Stratton and teaching the 8th grade at Or Ami. I was able to leave Food Lion. In addition, I had two job phone interviews and one of them is turning into an in-person interview in January. As I look at this threshold of 2017, about a little over a quarter of the way through 5777, I have the possibility of a full time job and bringing financial stability to my family. It was during the start of 5777 that I realized that I wanted to make Or Ami and Judaism my spiritual home. This has meant closing some chapters of my life and it also means I stop sitting in liminal space between Unitarian Universalism and Judaism. There is peace and joy that comes with that. In just making public my decision to convert I feel a freedom and excitement that has been long in coming. Taking joy in my work with all its challenge and opportunity has meant that I smiled each time someone asked me how I liked teaching. Each time I entered the classroom to teach, there was absolutely a feeling that I knew what I was doing and what I didn't know I wanted to learn and I did. I am excited about starting a new semester in just another ten days or so. 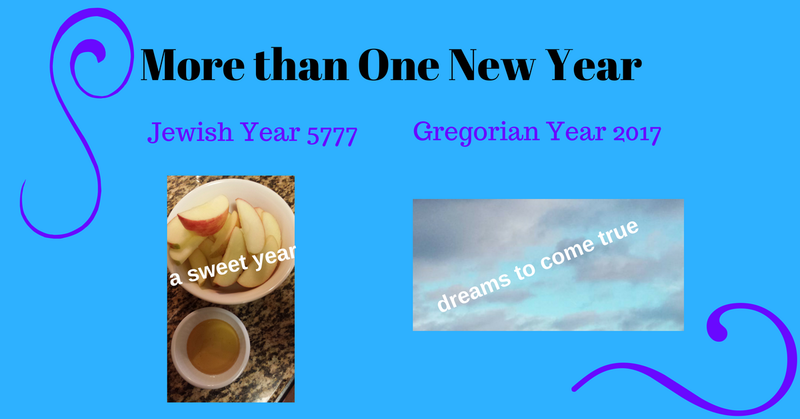 So here is to hoping that the rest of 5777 grows in sweetness and that 2017 manifests some long awaited dreams. 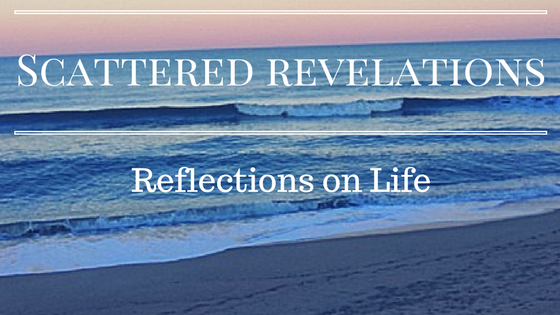 It is comforting to know that with following two calendars, there are two opportunities to reflect on a year just passed and a year about to begin.